Welcome to Studio Saturday! Each week one of our contributors gives you a sneak peek into their studio, creative process or inspirations. We ask a related question of our readers and hope you’ll leave comments! As an incentive we offer a free prize each week to bribe you to use that keyboard. The following week we choose a random winner. This weeks winner is lunedreams. Congratulations! You have won your own custom colored Sea Gypsy Jewel Pendant from MissFickleMedia! Send Shannon an e-mail with your address and she will create that just for you in her little outdoor studio. This week we visit the studio of Erin Prais-Hintz, Tesori Trovati Jewelry. Greetings from the Bead and Button show! I am not actually in my studio, but attending the biggest consumer bead show in the world! If you haven’t heard that the Bead and Button show is going on right now in Milwaukee you must be living under a rock. There are over 600 bead and jewelry classes over the course of the week and I usually take one…or four! Last year I took two all day classes with Sherri Haab, so it was like having her all to myself for two full days, and the year before that I took four smaller classes to learn everything from etching to PMC. I highly recommend classes if you can take them, especially multiple day ones like the year I took Susan Lenart Kazmer’s class the first year she introduced Ice Resin…and sat next to Jennifer Heynen of Jangles! I know I will miss taking classes, but this year I am only going with the intention of shopping, oogling, and connecting with people. With over 370 exhibitors I am sure that I will find a few things that I can’t live without: precious gems, pearls, chain, fiber, tools, beading supplies and of course, art beads! My very favorite aisles are the ones where all the art bead artists hang out. Some of our very own editors will be there along with many of your favorites. Walking through the doors of the Bead and Button show is like coming home for me. All my bead freak peeps in one place! My family and friends just don’t get my obsession and can’t talk about it with me without their eyes glazing over and their mind wandering, but the Bead & Button show (or any show for that matter) is like the Mothership landing. Everywhere you look there is a new friend waiting for you to discover. Through all the blogging that I have done over the past few years, I have connected with so many great people online. But there is nothing quite like walking down that aisle and seeing in person the artists that I have come to ‘know’ through their blogs, websites, tutorials and beads. Connecting with the bead peeps in person is the best part for me, whether it is in their booth, passing in an aisle or sitting next to them in a class. They are real people, just like me but I still get a bit starstruck when I am talking to them. I won’t lie… it sort of freaked me out last year when people were coming up to me in the aisles saying that they know me, they follow me, they have watched my work evolve from afar. I was flattered, but more than that I was delighted to put a face with a name. I expect there will be more of the same this year. I hope that if you are coming to the Bead and Button show that you will stop by the Humblebeads booth 1212 and say hello to me and Heather! We would love to meet you! 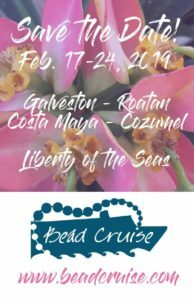 Of course, I will be wearing my favorite jewlery pieces, and the first thing that beaders do when they meet a fellow beader is walk up and fondle your jewelry…. then they look you in the eyes and say hello! I always find it funny to get the ‘beader’s handshake’ when I am at these things. That is the funniest thing, but you make an instant connection over jewelry which is too cool! Since I am shopping ’til I drop this year, I am going to set aside a little bunch of goodies just for one lucky random commenter. I can’t share with you what it is, as I am doing the shopping right now! But I promise it will be chock full of goodies that I hand picked just for you! If you were to attend the Bead and Button show, would you rather spend your time and money taking classes or buying beads? If you would like to take classes, what kind of classes would you take? If you would like to buy beads, what sorts of beads would you be looking for? Erin Prais-Hintz writes about all things that inspire her at Treasures Found::Inspiration Is Everywhere. Her jewelry designs are one-of-a-kind made one-at-a-time. She collects quotes and dust and invites you to send her your favorite (quote – not dust!) to enjoytheday@tesoritrovati.com. First I am JEALOUS of everyone who will be attending Bead & Button. I'm hoping Heaven is an endless Bead show with wine and chocolate!!! I love classes…I love beads,I couldn't choose. I'd spend $ on some of each .I prefer classes that perfect my current skills or are way out of my box. I'd love any polymer clay class and I'd love to play with seed beads. I never do ! I collect beads from Artists I admire,so it would be Art Bead aisle for me! Have fun !!!! How can you not have fun surrounded by beads!!! wow great, its a very nice and different post thanks for sharing this kind of post.. Both, metalsmith techniques, anything out of the ordinary. Hope you have a good time, maybe I will get there someday. First of all – drool!! Look at all of those beads!! 🙂 Ok, if I actually was able to attend Bead and Button, I would have to say that I would need to take at least one class and then shop, shop, shop! As for type of class – probably something in bead embroidery or making bracelets. As for beads, I absolutely love the different gemstone beads. I went to a Geological Society of American conference many years ago for work and was thrilled to discover gemstone jewelry booths. Didn't realize that would be there – what a happy discovery! I didn't realize at the time that I must have a beader in my blood 🙂 Enjoy the show!! The best part about attending the B&B show for me would be to meet all of my favorite artists. Then shopping and hopefully take at least one of the awesome classes just to learn from the many wonderful teachers that are there. And then shopping with all the peeps that are there again! Hope you are having the best of times! Oh, thanks for taking me on the trip, Erin. I so wish to go to the show show someday. Anyway, regarding ypur question, I guess I would take classes. I can get beads over the internet but to learn from a real person – especially. soldering and cold connections- would be so much fun! You have no idea how jealous I am right now! It's like beady heaven! I know exactly what you mean about friends and family glazing over…mine are so sick of it they're at the eye rolling/changing the subject stage, so to be in a room full of beady peeps would have me skipping around like a loon, lol. The UK is so behind when it comes to stuff like this! Looking forward to seeing what everyone bought! I'd like to clone myself so I could shop and take classes at the same time. So, if I could do that, I'd like a class on etching metal, or somehow using flames and fire and hammers! If I were to be buying beads, I'd be looking for something very different from what I already have (since I have a pretty good stash). Maybe some cool metal objects, porcelain beads and focals, vintage looking stuff (or even better, true vintage). Thats a hard Question!! I would buy beads I believe and catch up on the classes later. All these Art beads in One place I would have to Shop!! If I did take a class it would be something with brass or copper clay if one was available. Beads Id prolly buy a few exceptional Lampwork ones and def pop over to Green Girl Studios! I would love to see and maybe buy some other Artisan beads too. Have a great time Erin!! I'm so jealous!!!! Bead and Button sounds like bead heaven! If I went I would want to take a couple classes, and of course buy beads. That etching class from Sherri Haab would be the one I'd try. As for the beads, I'd be looking for artist beads that are unique. If I went to the Bead and Button show I would like to take classes. I went to the Tucson Bead show and took 4 classes from Christi Friesen. It was wonderful. I am a shopaholic though so it's a tough decision. If I shopped, I look for spacer beads and things to use with my polymer. I also look for new types and colors of seed beads. Who am I kidding, I'm a bead-a-holic too. LOL That's why I'm not in Milwaukee this year. Maybe next year. Classes. All depending on how long they would go on for. If one to two hours I would take one a day. If longer I would take less. First day I would probably not take any classes at all. In general I'd wanna spend most of my time shopping, mingling and socializing. And of course just looking. I would firstly hoover the isles with the booths for Art Beads. And then I would look for other special things, probably ask for recommendations from friends I meet. Erin,how I would love to walking those aisles with you! I just know you are going to have a great time! I would love to take some type of class on soldering metals and perhaps a PMC class too. I would be looking for different beads for sure and as always my favorite Czech glass. I would buy beads. I would buy beads that I can't get anywhere else, one of a kind, artisan beads, and some gemstones that are better picked out by hand~ druzies and turquoise. i would like to take classes too, but if I had to choose, beads win! Ooo Erin, Pick me! If I could go to the full week of Bead and Button, I would probably OD on bead (window-)shopping, pick up a few of my favs and spend the rest of the time taking classes. I would love to learn new techniques since I am basically self-taught. Etching would be a great new skill to learn. Have great time. Oh My if I ever got to go I would have to grab as many beads as I could carry! I wouldn't be able to help myself!!! I'd probably pass out from excitment! Have fun! Hi Miss Erin, so glad you are having a great time and omg!! if i ever get the chance to go i would be so excited i would…..idk jump around like a kangaroo. I have never even been on a plane b4. First off I would most excited about meeting all of the peeps i have met blogging & I think i would definatly spend time and money on both and i would take a wire working class and i would love to learn how to enamal and lamp work and would spend most of my time in the art beads section for sure!! Well i hope you have an amazing time at the B&B and have a safe trip home! Someday I'll get there! Of course I expect that I'll be behind a table when I do 🙂 If I was able to finangle sales help I'd want to take a class or two but that's probably not realistic! I would definitely buy beads, and I would look for artisan beads and unique beads. Oh you lucky lady! I wish I was there! Bead shows are so much fun and this one is the BEST! I find that I like to peruse the whole show before I decide what to buy…I'll buy a few things that I can't resist as I go along, but make major purchases of choice items last. I would love to take some PMC classes and bead weaving classes. Getting to the Bead & Button show is on my bucket list. I've attended BeadFest in Santa Fe for the last two years and taking classes is my primary reason to go. I usually take 3-5 classes mostly so I can push myself to try something I normally would shy away from. (using a torch as an example) Taking a class gives me a safe way to try something – having the instructor and support of the class is priceless. thanks for the vicarious trip! Like many of the commenters, I would do both – take classes and wander the aisles admiring and acquiring! Without having looked at the class catalog (torture since I'm not going), I think I would take a PMC class or classes. I took Jennifer Heynen's clay bead class a few years ago and loved the work of forming and firing! Hope you all are having a great time! WOW! I was going to leave a comment a few minutes ago, but I had to wipe the drool from my keyboard!! I would love to be there! If I were able to attend, although there is so much I need to learn, I would probably spend most my time and money shopping (and talking!) If I took classes, I would lean toward clay and lampwork. If I had unlimited bead funds, I would be looking for unique beads, bright colors, and anything else to add to my stash! I would love to take classes from teachers that aren't in my area but I would have to save for a year for all of the art beads I would have to buy. I did spend time at the Bead & Button show yesterday and spent my money on beads! If I could have taken a class, it would have been a soldering class. Just love the looks of pendants with soldering around the perimeter. That is a tough one – I would love to take any metal work classes, but I would also LOVE to buy one of a kind artisan beads, my all time favorites. Thanks for sharing the pics – Hope you enjoy yourself! I would love to take a class and shop. I love classes and could have been a forever student if money would have allowed. I would spend my time & money taking classes. I'm a beginner & am always trying to improve my beading skills. I need improvement on basic skills like wire wrapping. I like classes on bead weaving, I especially like using crystal beads. I like the small & medium sized beads in all shapes, mediums & colors. I would rather spend money on beads. I am always looking for (1) bargains, and (2) something unique that speaks to me. I usually don't know what I will do with it, and I often stand there in front of the booth just staring at things trying to come up with ideas. Typically I don't get ideas on the spot… things have to "gel" for a while. So my purchases end up being fairly random. I couldn't take a class since I have a two year old at home, but I got in some shopping! I literally did the fastest B&B shopping ever! I hit the Vintaj booth for their awesome demo, Sea of Glass, Eclectica, Out on a whim, Beaducation, Jangles, Earthenwood, and too many more to name all within just over 2 hours! That was all the time I had, but it was worth it. I'm especially excited about my beads from Sea of Glass!! I am so jealous, though I have already asked mom if she wants to go with me next year to the show, so I hope to be there next year with mom tagging along! I think I would love to do both shopping and taking classes! If Barbara Lewis was offering a torch fired enameled beading class I would be knocking down her door to attend. I would also love to take some etching and resin classes because I have not done either in years and of course if Shannon, MissFickleMedia was offering any classes I am sooo there!!!! I would love to purchase gemstones, polymer clay, ceramic beads, lampwork beads, wood beads, etc….It looks like there are so many goodies to choose from, so hard to decide! Have fun! Since it would be my first time attending I would have to combine both. As for classes, anything to do with artbeads and metal work. As for shopping, any art beads, lots of ceramic and chain!! Good luck everyone. Thanks for this chance. I would splurge on beads. Lampwork, porcelin, other materials too. I loved the photos too. I would love to spend my time both taking classes and shopping!! I would look for anything I don't have and would love to work with. It would be a big thrill to meet the artists who make the beads I buy. I am vicariously enjoying the bead show through people's posts. If I had to choose, I'd rather spend my money on beads than classes. I'd be on the look out for the handmade and unusual. It would be so much better to see the artisan work in person, rather than online – and to be able to meet the maker; oh happiness! Definitely buying beads. While I've been making jewellery for around 18 years, I have never, ever taken a class. The idea terrifies me… I'm a solo beader and crafter and hate the thought of anyone *looking* at me while I'm working. What I'd go for. Rich, bright colours and unusual materials or finishes. And gemstones. I have a definite weakness for deep, rich gemstones. I've been playing with copper etching recently – it's highly addictive! I don't even know how to answer this! 🙂 While I would love to take classes, I think it would be shopping for beads. What type? Different, unusual, sparklie, fun! I would take at least one class, something I didn't know how to do and then buy lots of beads. All kinds of beads, anything that I could not get around here. And seeing all those art beads up close would be amazing! Hope you are having a great time. I havent had the funds for either Tucson or Bead & Button so I am glad to live vicariously through you. As for which I would do and why, it would be 50/50 if possible. I would love to take classes with some of my favorite jewelry artists, and I would definitly take classes that taught me new techniques as I am selftaught for the most part. It is always good to learn from an expert how they do things. Then of course I would have to check out the art beads booths and do some shopping. I love to see all the pretty and different beads and pendants an such out there. To have so many artists in one place would be fab. Stone and beads would come next. I do so enjoy your blog posts and your work and hope you are having a great time. Class? Beads?? What a dilemma!!! I would try to save enough to do both. You can always learn something by taking a class. As far as bead shopping goes, I buy pieces that are of interest, not focusing on how they will be used, that's for later. Attending this bead show would be an incredible event. I will someday make it to B&B! I would have to say the shopping for beads would be my preference. I love to see what is out there. But if I were to take a class it would have to be something I have never tried and totally out of my comfort zone. I would buy the art beads, you can always find the other beads in other places, but to pick up unique beads in person — THAT IS HEAVEN!! I would love to attend the Bead and Button show and will go as soon as I can ! !It is a bit of a trip for me !!! I think I would want to spend my money on both beads and classes. I want to learn so much and although I have been beading for twenty years there is so much to learn I will have a hard time chosing what to take , I want to learn it all !!! It is the same with the beads, so hard to chose !! I think I would want to find unique and usual beads along with some pretty sparkly ones. I was lucky enough to attend bead market here in Texas and bought a lot, but I will be a bit choosier when I go back in July. I want to get away from my tradional style and make more unique pieces. Learning to make unique pieces is a high priortity so that would help me to chose my classes. Seriously, I wish I could go to one of these fairs. As for your question, definitely buying beads! And all sorts of them! I think that I would go crazy. You are a lucky one, to be able to attend these sort of events. That was so funny talking about the beaders handshake at ArtBliss! Someone I took a class from had told me about that. I JUST got home an hour ago and am eating dinner and catching up on blogs. Was good to see you there! I am so eager to learn, I am like a sponge. I am on the internet every evening (after a long day in front of a computer at work) trying to learn all I can, but it is not the same. But I could not come home empty handed. 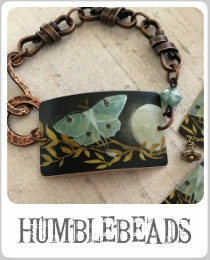 I would love to have some one of a kind handmade beads and some copper beads and connectors. I don't even know where to begin on what kind of class I would like to attend. I read these great blogs and think I am so far behind. Why have I not been involved in this incredible community, learning and growing before now. I think have been too afraid to even try, thinking I could not measure up to this kind of talent. Now that I have worked through that I realize I just need to learn techniques….I have the creativity. Thank you for helping me believe I can. Could you pour all your knowlegde in my head? I want to do it all, have all the tools, and get started on many new adventures and want it now……Hope you have had a great time. Thank you for your blog. Really! I was so bummed that I didn't get to attend B&B this year (we're building a house, so it just wasn't practical for me to scoot out of town). I never truly realized how lucky I was that I used to live in northern Illinois, only a 45 minute drive from B&B! – If I had been able to attend, I was already planning to take a lampworking class. I took a polymer clay class a couple of years ago, and it was great fun. 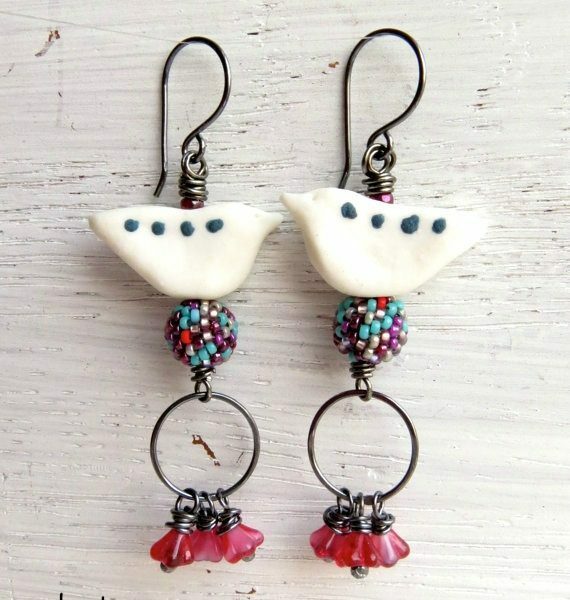 – I always stock up on seed beads and findings, but I love buying artisan beads (and supporting bead artists!). Even though a lot of artists sell their beads online, there's nothing quite like getting to see them in person. I'm so jealous! My best bud said she was going but I couldn't join her this year as hubby took ill and has been hospitalized for the past week. Hopefully next year I'll get to go back as it's ,ost awesome. For me it's shopping and chatting it up with vendors about their sample / demo pieces. I'd love to take classes but the one on one casual interaction and shopping the whole show is where it's at for me. Geez, talk about a tough decision…yes and yes to question 1.Classes…hmmm…I'd definitely fit in a class with S Lenart-Kazmer,whatever it was.I tend to get bead-crazy at shows, so let me loose and I'd probably buy 1 of everything!! Oh wow, it just looks too fabulous! Very jealous – hope you have had an awesome time there. If I was at the show, I'm going to imagine I have an unlimited budget, so I'd be shopping and taking part in classes. I'd love to take classes in lampwork, metalwork – things I am not skilled in and too scared to start by myself at home. And I would be stocking up on art beads and some lovely Czech glass. I'd love to see the pieces in person, I can imagine that's pretty awesome! I did go to the B&B show and spent my time and money on BEADS! I would like to take a wire wrapping class but my favorite beads to buy are lamp work beads. So many to choose from. Thanks for telling us a bit more about the show. I always enjoy hearing about it. No one I know actually gets to attend but we sure love talking about it and of course looking at the pics! Take classes! Buy beads…no, take classes!…buy beads…well, you get my drift! I would definitely be looking for ceramic beads, creative clasps and inventive classes from someone famous!All of the above! Oh I can't be there this year but I LOVE the classes and prefer metal working classes although I wouldn't mind picking up a PMC class. I would have to save some $ for beads as well as a girl can never have to many and there is always something on my list I need. I am starting my savings NOW so that I can attend next year… I would love to take some classes on advanced wire working and maybe a PMC class, but really, I want to fondle, admire and buy beads. All sorts of beady goodness. And meet my beading besties that I have never met in person before. Thank you for sharing – hopefully we will see some pics from this year also. I would have loved to go – maybe next year. I really couldn't do only one or the other. I would take 1 class and have some money to buy beads. For a class it would be something new-and challenging for me possibly a new technique.Beads – I love them all- would focus on atisan beads, lampwork and czech glass. Of course, I am sure I would find others!! maybe someday I'll go… but I think if I ever do go, I'll spend my time taking classes. I love learning new techniques! I would love to take a lampworking class and also a wireworking class–but I'd have to save some money for beads too! Oh, Erin! You're so lucky to have gone there. I would love it. I would definitely take technique (as opposed to project classes). I want to learn so many techniques — things I don't trust myself to do by myself (esp. anything involving fire!). I would probably spend half my budget on classes, maybe a little like 75% and the rest on beads. Hard to tell. I know I would blow the budget whatever it was! Well, I did go the B&B and did just what I wanted to do – shop with YoU!! Also had the fun experience you described – meeting beaders I "knew" online – Cindy Wimmer and Lori Anderson, it was great! And I saw others I met last year. The top of my list was chain and I found lots of it, but never saw any solid copper chain, which was the top of the top. Regarding classes, I'd like to add soldering tiny things to my skills. First, I would need to be cloned! Thanks for an interesting post with excellent photos, Erin! Looks like you had a blast at B&B. Closest thing to B&B, for me, is Beadfest Philly, which I never miss. I used to always take atleast one class, and the class I liked the most was a PMC class. I actually walked out of there with a fabulous pendant made by me!! But I always make sure I have a full day of shopping. And I blow my wad of money every time! Maybe someday we'll exchange the "beader's handshake"! If I was able to attend the Bead and Button show, I would probably try to do both, take classes and buy beads. I am interested in lots of classes: poly clay, enameling, or chain mail are on top of my list though. 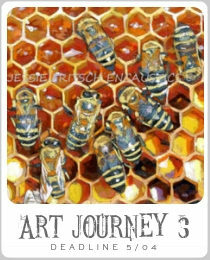 As for which beads, I would love to pick up so nice artist beads, focals, and OOAK items. BOTH! Classes – wirework, I think, unless there was a fab lampwork class that I needed to take. beads – artisan! Buying Beads! I'd take one specialized class or a class with an artist I greatly admire, but I think I'd spend most of my time shopping! Something I couldn't get anywhere in So, Cal – most likely from a teacher whose work is a great inspiration. At least one class, some new technique, certainly. I learnt my basics by sitting down to make a bracelet at a bead show, with beads purchased at the show. And the rest on beads, beads and more beads. Tell me how does one budget for beads when one attends one of these shows? Buying Beads! It would be awesome to take a class, but oh the money that could buy beads! I can't resist the beads but I really think that I would put my money towards classes. I can always pick up beads elsewhere, though I would be collecting business cards, but the classes would be a dream come true. As too what. I would really like to learn lampworking but I am just not set up for it. So I would probably lean towards wire classes. Oh wow, what a question. I'd want to do both and lots of it. Lots and lots of shopping and as far as classes, I could go for learning something new or learning more about something I already know something about. I'm not the least bit picky, sounds like heaven! If I were to attend Bead and Button I would almost certainly want to spend every dime I had on beads glorious beads! If I could take a class I would love to learn metalsmithing, cold joins, and enameling. I would focus my purchases on art beads for sure. I have tons of filler and spacer beads in my stash, so I would want to stock up on specialty beads and chains.